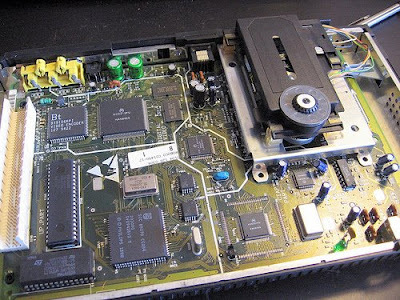 Todays project is to disassemble, clean, and fix this Magnavox CD-i I've had sitting in a box for years. With all the 3DO activity, I was getting nostalgic for all those failed 90s systems. I never really sat down and gave this thing a proper run-through. 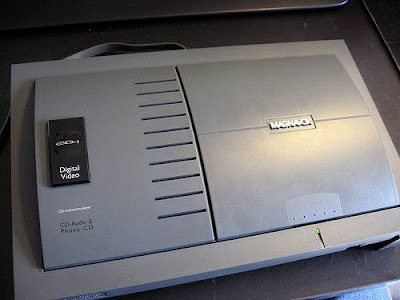 I got it about 6 years ago simply because I was looking for a VCD player, and this one had the MPEG card already in it. Looking at it now, it needs some serious work. This thing is in rough shape. 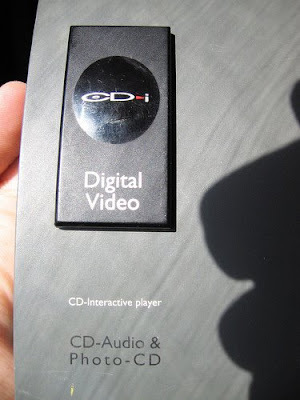 Here you'll see the CD-i badge on the case. Pretty classy looking logo on this unit. This Magnavox player is one of the cheaper ones produced. The style is meant to look more like the game consoles of the day, rather than a high-end piece of A/V equipment like the Philips models. Similar to what Panasonic did with the FZ-10 3DO unit. Pretty much the only way to fly. Below gave the CD-i a dedicated MPEG video decoder, which allowed it to use full-screen video at high frame rates. Games like Dragons Lair and Space Ace are good showcases for it. 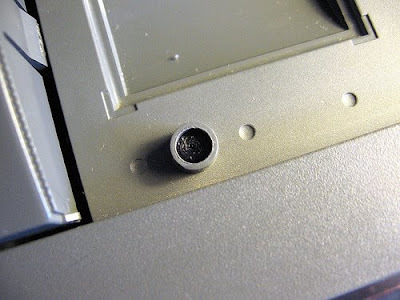 Below is the DVC connector slot. Substantial looking. 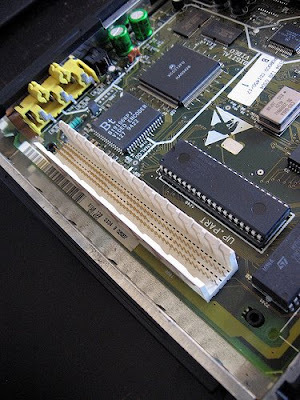 I swear this looks like a NuBus slot, but I'm not sure. 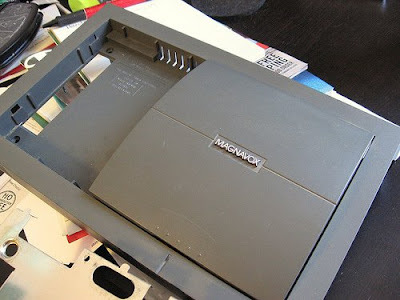 It would make sense, since this hardware shared many similarities to Macs of the day. 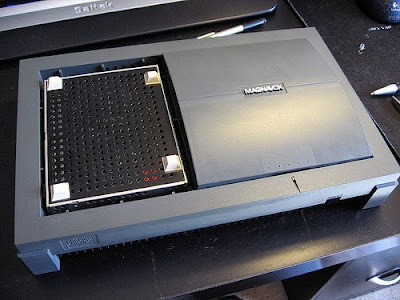 If you're not sure what NuBus is, hit the Wiki link to learn more. Then we get the EM Shield back in place. Or at least that's what I call it. I was surprised by the amount of rust spots on it when I took the case off. I cleaned them up so that it wouldn't be an issue later. The top right corner is a particularly bad bit of surface rust. I scrapped off the majority and treated it. Hopefully it doesn't get much worse. On the next picture I'm redoing the glue on the CD-i badge. Obviously, the glue that held on the badge has crystallized over the last 17 years. I'm going to scrape it off and redo it. Also note the difference in color between the area that was covered and the rest of the unit. This thing is filthy. These vent slots were packed with dirt. Cleaning little bits like this is always a pain. After a good washing (pro tip: use a scrub brush and dish soap), the player is ready to be reassembled. The black vented piece you see is the DVC installed. Now lets give it some shine. 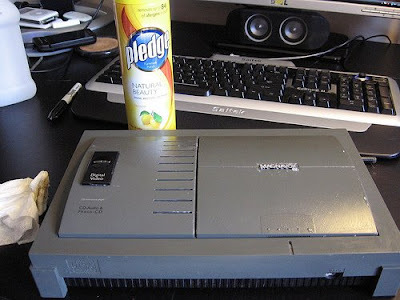 An old trick I learned back when I worked in an arcade is to use furniture polish to keep the plastic shiny. It helps replenish the moisture in the plastic, and gives it a nice finish. Depending on how dried out the plastic is, you may need to let it sit for a bit. I let this one soak for about 15 minutes. And here's the final product. The player is light years from how it was when I pulled it out of storage. I'll have to keep on the polishing of it; the plastic is really quite brittle at this point. However, the system is about as clean as it can be. The logo is now attached quite securely, and I buffed it up to help it shine again. 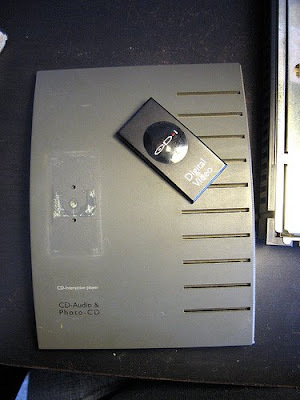 If you're interested in learning a bit more about the CD-i (and if you've read this far, you probably are) then check out the rest on Interactive Dreams. Here, you'll find links to a wealth of information regarding the various players and manufacturers. A minor modification: I noticed that the CD lid had warped on the player, which caused the lid not to close properly on the left side. This was a problem because of this tab. It's responsible for pushing down on a small pole, that in turn, pushes a switch on the board that lets the player know the door has been closed. After some trial and error, I mounted a spring on the tab, so that it extended further down and hit the switch, but didn't create more stress on the already warped plastic. Works great. 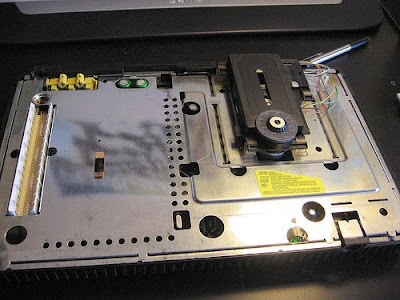 This was the problem: I tried a few internal solutions involving springs, and also some silicone grommets, but no dice. 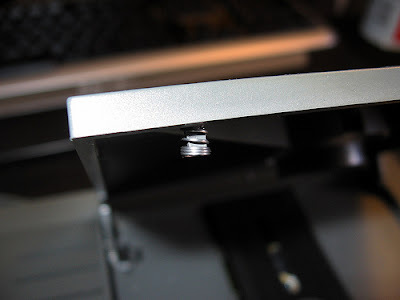 My hope was to have the pole sit higher on a spring, so that the warped lid could hit it, but unfortunately, the pole was then not far enough down to hit the internal switch. So, I settled on the not entirely elegant spring on the lid solution. Not the prettiest, but it'll work until I think of something better. The top of the pole is pretty beat-up. That's from me pushing it in place with a small regular screwdriver. Whoops. 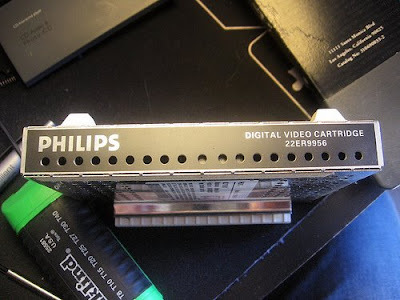 Even though Philips flat-out denied that the CD-i was simply a game console, the fact that they promoted it in gaming magazines at the time said otherwise. Shaping this one like a console only proves what a lie that was. They just didn't have what it took to compete with the big dogs. Thanks to Commander Tim!